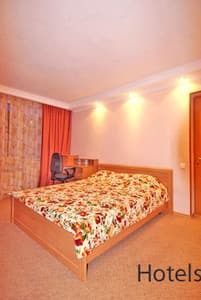 The private sector is located in the city center near the Embankment, within walking distance of the Oreanda Hotel and the Lesya Ukrainka Museum. To the sea - 3-5 minutes walk. 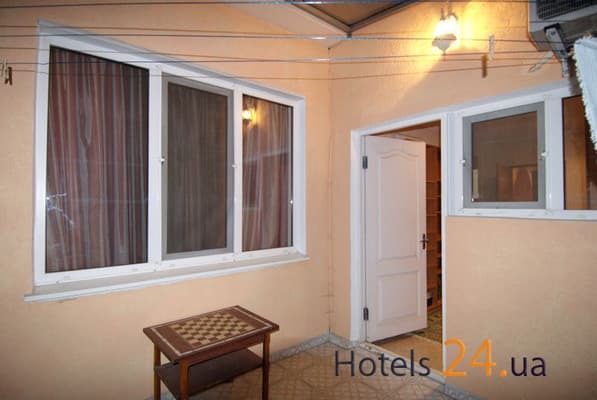 Three-bedroom apartments are located in a quiet location on the 2nd floor of a private house. Two separate bedrooms with double beds, a large living room combined with a kitchen, from the kitchen there is an exit to the balcony. A large entrance hall with a mirrored wardrobe. The kitchen is equipped with built-in electric stove, oven, hood, kettle, microwave, refrigerator, dishes. The apartment has air conditioning. Spacious bathroom (bath, bidet, washing machine). Parking in the yard. The spacious apartments can accommodate 6 people. Near the house are various cafes, restaurants, shops. Distance to the bus station of Yalta - 3 km, to the city Simferopol - 82 km. PRICES MAY CHANGE, IT IS REQUIRED TO RECEIVE INFORMATION FROM THE OPERATOR. Description of the room: Two separate bedrooms with double beds, a large living room combined with a kitchen. A large entrance hall with a mirrored wardrobe. The kitchen is equipped with built-in electric stove, oven, hood, kettle, microwave, refrigerator, dishes. Spacious bathroom (bath, bidet, washing machine). Accommodation 4-6 people. 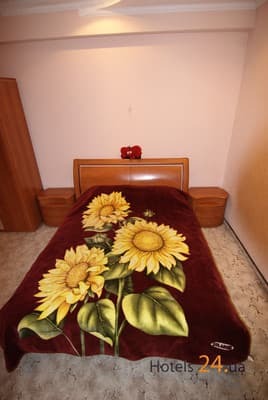 The private sector is located in the city center near the Embankment, within walking distance of the Oreanda Hotel and the Lesya Ukrainka Museum. To the sea - 3-5 minutes walk. Nearby are various shops, cafes, restaurants. Distance to the bus station of Yalta - 3 km, to Simferopol - 82 km.